People of Good Will is pleased to present an artist talk and performative lecture from Sobey Art Award winner Duane Linklater and artist/choreographer Tanya Lukin-Linklater, 7 PM December 13th at Heritage Hall: 83 Essex Street, Guelph, Ontario. Duane Linklater will present a personal archive of records, collected over many years, organized and reorganized into various categories. His performance proposes a new category for organizing and archiving music: the Indian section. 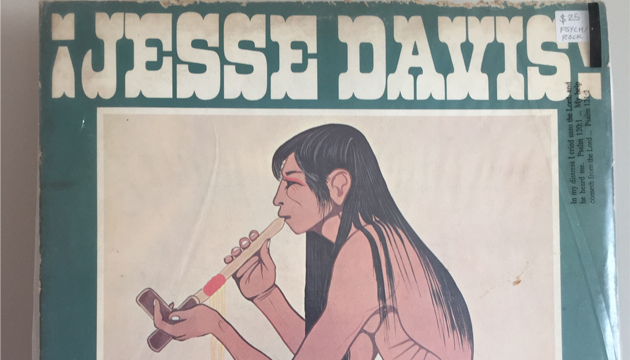 Iron Maiden, Charlie Parker, Link Wray, Neil Young, Rita Coolidge, a rare 45 of Alanis Obomsawin songs, and a record found under “psych rock” of the late (and great) Jesse Davis. Tanya Lukin-Linlater’s performance will take the form of poetic experimental art criticism responding to the works of Duane Linklater, Janet Cardiff, and writer, Layli Long Soldier. The performance foregrounds the experience of audience as an encounter with her encounter of these works. Duane Linklater is Omaskêko Cree, from Moose Cree First Nation in Northern Ontario. Duane produces a range of work including: video and film installation, photography, sculptural objects, and often works within the contexts of cooperative and collaborative gestures. He has exhibited and screened his work nationally and internationally. Duane is the recipient of the 2013 Sobey Art Award, an annual prize given to an artist under 40. Tanya Lukin-Linklater’s practice spans experimental choreography, performance, video, and text. Her work has been performed/exhibited nationally and internationally. She is compelled by the interstices of visual art and poetry, pedagogy (learning), indigenous languages, portrayals of women and children in film, and the body. She is Alutiiq with family from the Native Villages of Port Lions and Afognak in southern Alaska.